So, the way the chat app works is that when you request the show action for a chatroom, some flash gets sent to subscribe to the channel on Juggernaut. 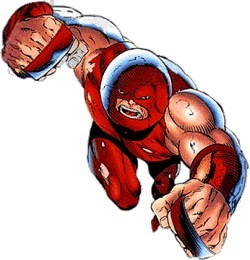 Juggernaut will then send you a list of all the people in the room. If you type in a message and hit enter, the message gets posted to your Rails app. Inside the controller, the message gets sent to the Juggernaut server, which then pushes the message out to anyone subscribe to that channel. You could achieve a similar effect using AJAX, but you would have to have each client polling the server for updates to the chatroom, but this would be really difficult to scale. Anyway, I've gotten his source code installed on my machine and have begun playing around with it, and hope to start contributing to his chat_sandbox on github soon. Feel free to make your own fork of his code on github and start contributing, and stay tuned for more updates! is it also possible to create dinamically new channels? and add a user dinamically to a channel? if not, are there alternatives to juggernaut?? ?